The health of a mother impacts on the family and even the entire community. Majority of women deliver their babies from home under traditional care often with tragic results. The conditions under which they give birth are very unhygienic and if there are any complications the traditional birth attendants are usually unable to cope. Every woman that delivers in a public health facility will now get a free safe kit commonly known as mama kit as the safe motherhood project is being implemented by the County Department of Health and Sanitation. The objective of this project is to motivate expectant mothers to attend and deliver at the health facility and consequently reduce infant and mother mortality rates in the county and reduce the incidences of the transmission of HIV/AIDS to the new born child. 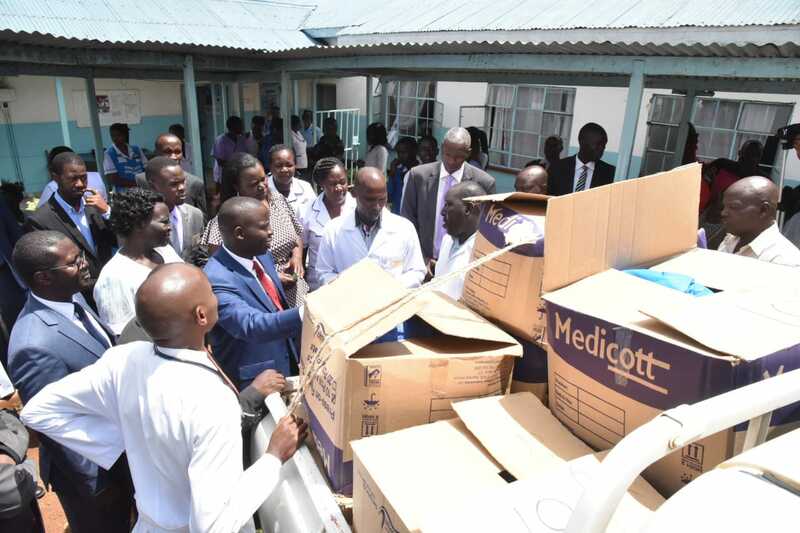 At least 2000 mama kits – an essential tool kit used in delivery – were distributed to various health facilities that conduct deliveries at an event overseen by Nandi Governor Stephen Sang. According to the CEC for Health and Sanitation Ruth Koech ideally, the supply for mama kits should tally with the number of mothers that give birth every year. 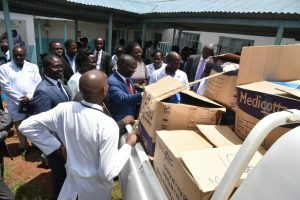 “With the boost from World Bank funding under the Transforming Health Systems for Universal Care Project, the total number of the mama kits will increase every year,” she said. “We are looking forward to a time when all mothers will comfortably go to health centres and have safe deliveries,” said Ruth. Ms Irine Berenge the County RH said the kits will be distributed to all the public health facilities that conduct deliveries to be given to mothers at no cost. The Mama Bag provides basic items to help with hygiene during the birth and aftercare for new-borns and their mothers. In a simple bag there is an outfit and shawl for the baby, a towel, cotton wool, a bar of soap, washing powder, rubber gloves, and locally produced health information and family planning leaflets. This is vital for a mother who would often have neither a cloth for her new baby nor any protection or change of clothes for herself.